Init crosscut paper shredders break down sheets of paper -- 10 to 12 depending on the model -- and other materials. When your unit's disposal bin fills for the first time, you open the shredder and dispose of the paper, discs or other material collected in the bin. Init has designed all of its crosscut models to open quickly in one of two ways. 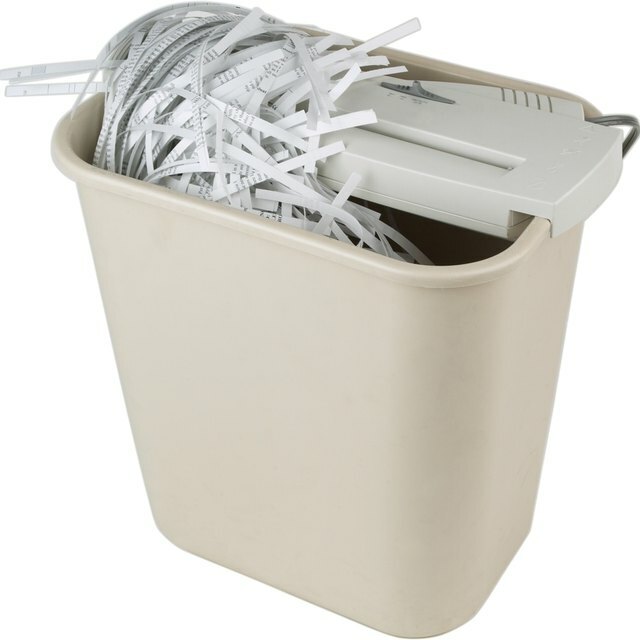 Turn off and unplug your shredder. Grasp the sides of the shredder unit. Lift the unit from the bin and set it aside. Dispose of the shredded materials. Turn off and unplug the shredder. Grasp under the handle of the bin. Pull the bin toward you completely out of the shredder housing. Empty it. Although the shredder has a safety switch that stops it from running if you lift it from the bin or pull the bin from the housing, always unplug and turn off the shredder for safety.